Golden Bison is the parent company of 4 bison-centered food lines founded by venture capitalist Joe Ricketts in 2003. As an associate creative director contracted by VSA Partners I led the digital efforts for the brands, as well as assisted the group creative directors in art directing product photo shoots, print and out of home advertising and in-store signage. 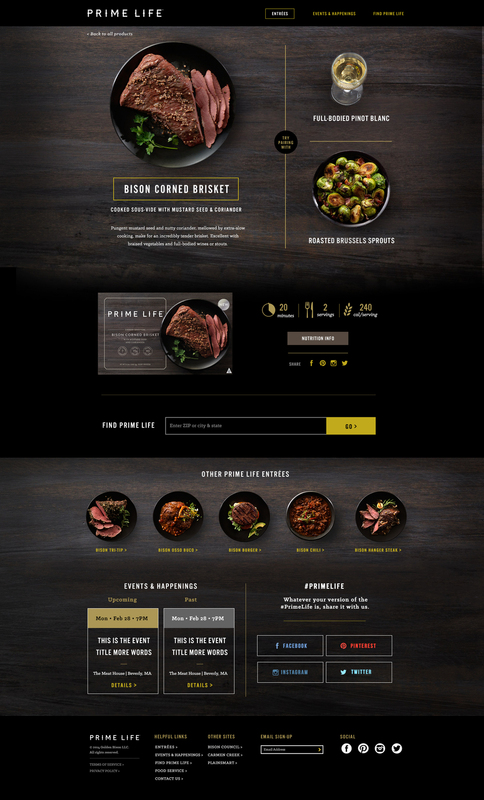 Prime Life is a line of gourmet sous-vide prepared meals for you to make at home. These meals are inspired by food coming out of the world's top kitchen's and the marketing website needed to reflect both the gourmet aspect of the meals, as well as the easy preparation. The resulting responsive website is filled with mouth-watering imagery and copy enticing the user to find a retail store to purchase a meal. High Plains Bison is a line of humanely-raised bison meat found at grocers like Whole Foods. 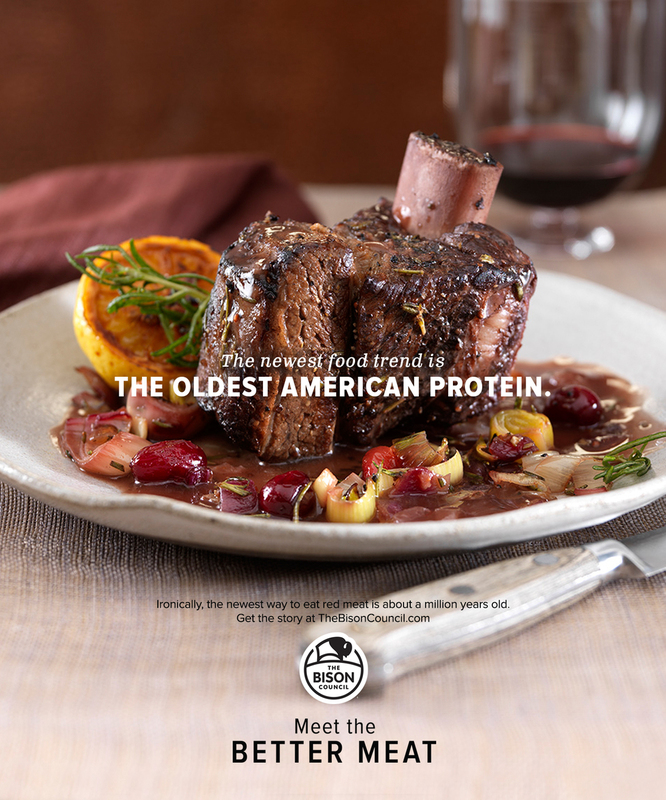 With this campaign our aim was to present bison as a tasty, yet heart-healthy alternative to beef. We focused on beauty shots of the meat with minimal, effective copy. Campaign elements included print ads, FSAs, banner ads for web and mobile, out-of-home and in-store promotions. 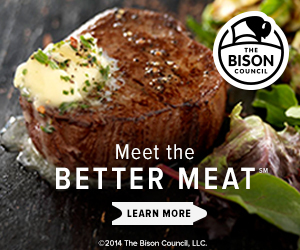 The Bison Council was created to educate the public on the health benefits of replacing beef with bison along with providing resources like recipes to help consumers in making that switch.